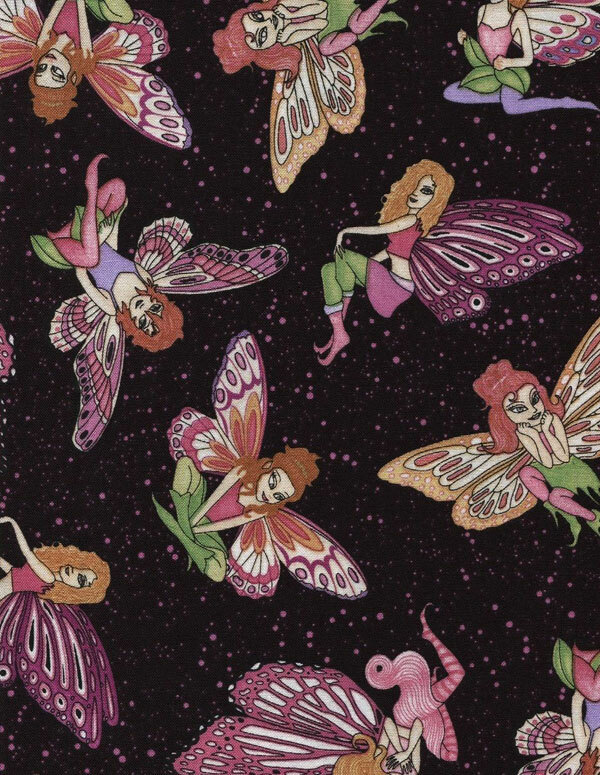 Colorful fairies, all with a mischievous manner, playfully pose against a black background. 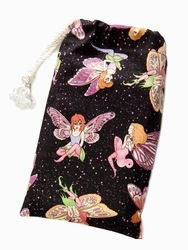 The knowing smiles on each of the six different faeries makes you ask, "Have they just played a trick on someone? What's their secret?" 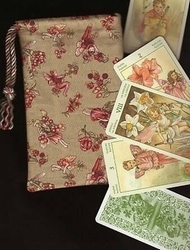 The Fey Folk are known to be flirts and tricksters and these coy fairies are no exception. 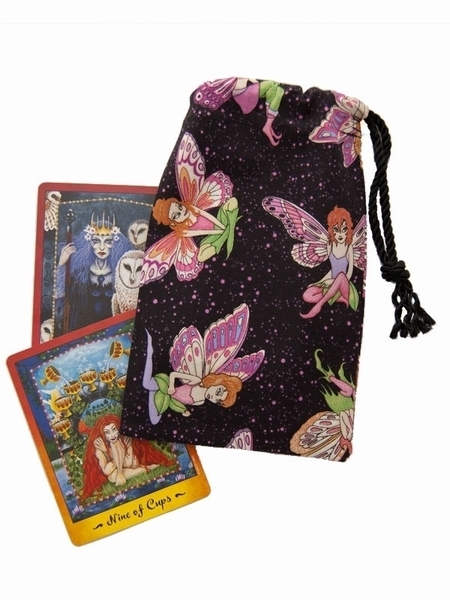 As always, our bags aren't just for tarot cards! 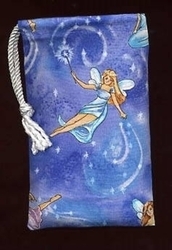 This cotton drawstring bag makes a playful pouch for all your small treasures - fairy related or not - and also is a perfect gift for the fairy enthusiast in your life! 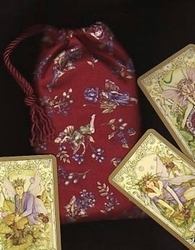 Deck Suggestion: Any fairy tarot would be happily comfortable in this bag but our favorite choice is the Faerie Tarot by Nathalie Hertz, pictured with the bag (cards not included).